This new clinical reference guide for paediatric otolaryngology gives a concise yet comprehensive overview of the subspecialty. 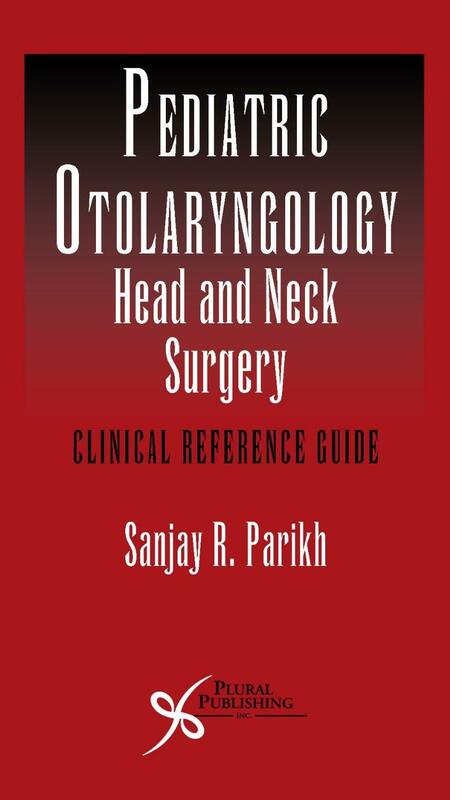 It is formatted exactly the same as the well-known and renowned Otolaryngology Head and Neck Surgery: Clinical Reference Guide by Pasha and Golub, which Liam reviewed in the January issue. Over 700 pages long, the 69 chapters are divided into 7 sections: embryology, otology, rhinology, laryngology and bronchoesophagology, head and neck surgery, evidence and guidelines in paediatric otolaryngology, and common syndromes. Every chapter has a bulleted, easy-to-read layout, and the chapters are concise and manageable, allowing the reader to dip in and out. It covers the breadth of paediatric otolaryngology, with up-to-date management approaches. My only disappointment with the book is the half-hearted inclusion of poorly reproduced black and white photographs and radiological imaging. There aren’t many images and they don’t really add anything. Overall, however, this is a good reference guide to paediatric otolaryngology. It would sit well on any otolaryngologist’s shelf, and would be particularly useful for trainees undertaking the intercollegiate exam as a quick reference guide for last minute exam preparation.